Ealing Filmworks opens in 2020. 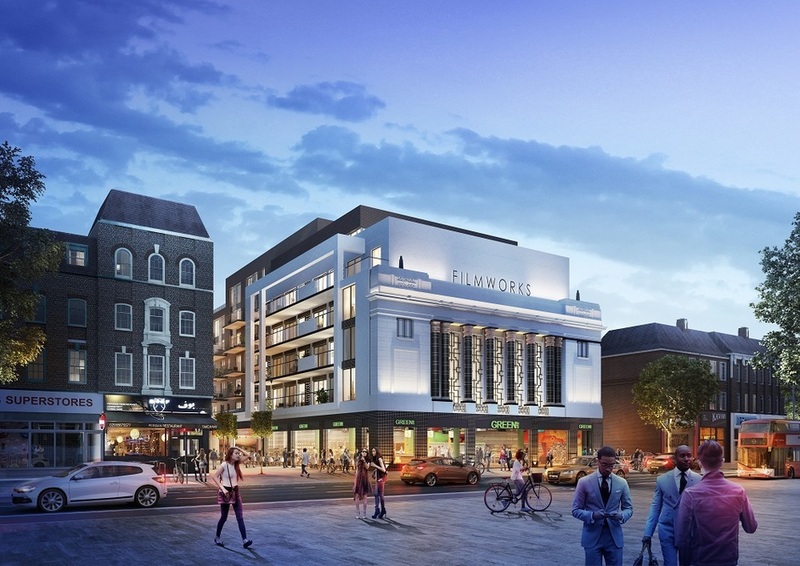 On 12th December 2016 construction of the Ealing Filmworks development began with the borough's long-awaited cinema, operated by Picturehouse Cinemas, due to open in 2019. More than just a new cinema, the development includes shops, cafes and restaurants from Vapiano and Planet Organic as well as new public spaces and housing. The Filmworks development transforms the area, opening up the site and creating pedestrian links between The Broadway, Bond Street and Walpole Park. What are the best dining options near Ealing Filmworks London? Ealing Filmworks gyms, sporting activities, health & beauty and fitness. The best pubs near London Ealing Filmworks. Ealing Filmworks clubs, bars, cabaret nights, casinos and interesting nightlife. Where to have your meeting, conference, exhibition, private dining or training course near Ealing Filmworks. From cheap budget places to stay to luxury 5 star hotels see our deals for Ealing Filmworks hotels, including Best Western Maitrise Suites Apartment Hotel from 0% off.